Starting At $470.99 + Free Shipping! 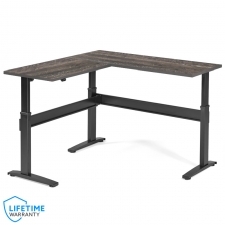 Will not fit on a 24" deep Vertdesk. 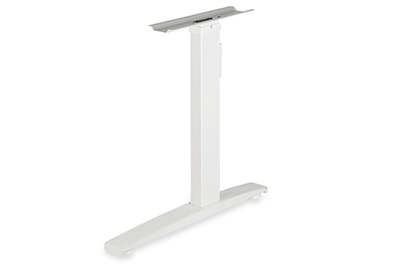 Introducing the much anticipated VertDesk v3 base only, just add your own top and transform the way you work. 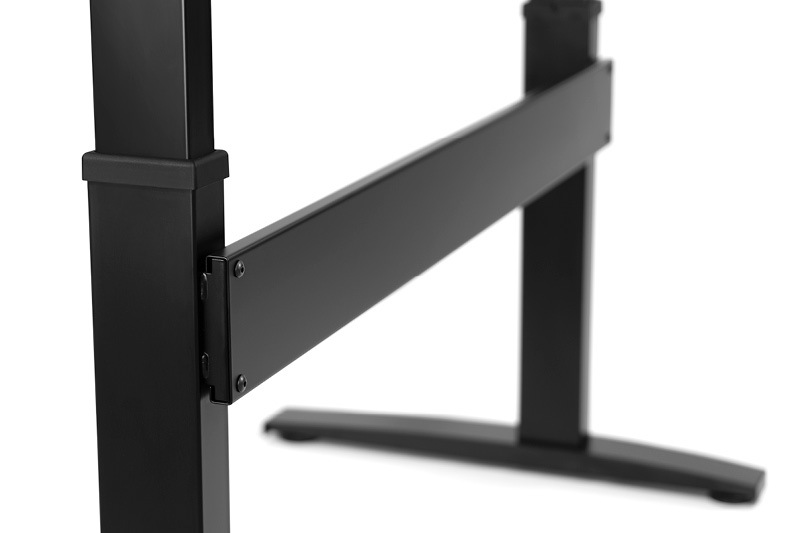 We have made a major update to almost every aspect of the VertDesk base and moved assembly to the USA. 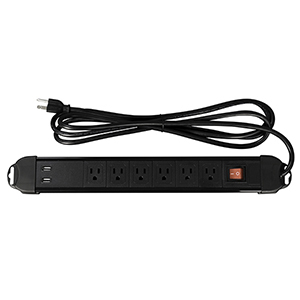 This has created a more reliable product for our customers. 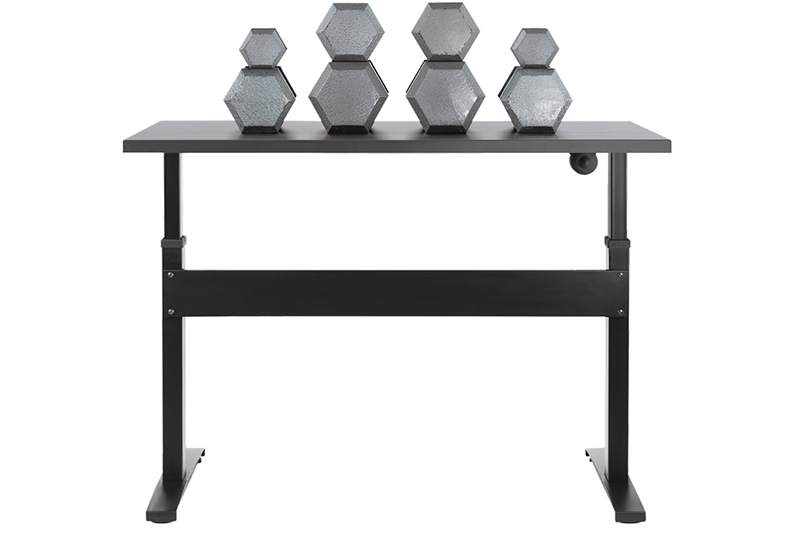 No longer will you have to stand at a desk that rocks back and forth, the VertDesk v3 is built like a tank. 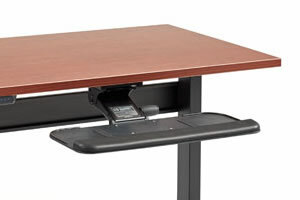 We will get you up and out of your desk quicker with one of the fastest adjustment speeds available. If you want to create a more active workspace and reduce the risk of sitting disease, VertDesk v3 is just what you have been looking for. Our latest update features a new electronic package, offering what we believe to be the best anti-collision feature in the category. While most brands have been focused on hard collisions with furniture, we wanted something that could sense soft collisions better. Our new GyroSense technology has been tested in house for the past year and we are very excited to start offering this to our customers. With this change, we are now able to offer the one-touch functionality on all programmable switches. 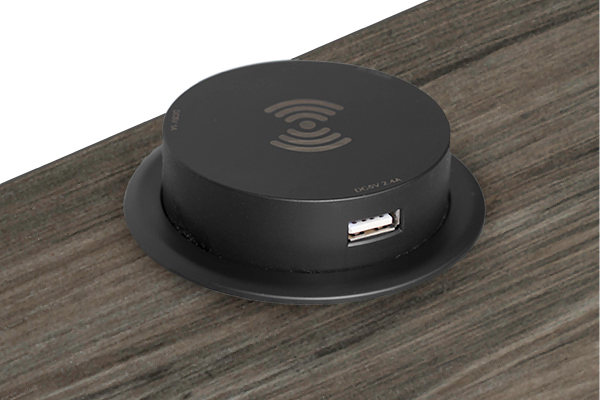 It’s still important that you understand the risks associated with one-touch functionality. While our GyroSense provides better soft collision detection, the risk of getting injured does exist. 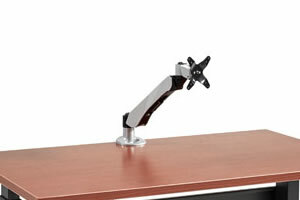 The VertDesk one-touch functionality can be turned on and off to prevent injury when not in use. - How long will your VertDesk last? We tested to find out. 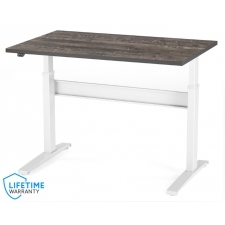 - What is the best standing desk? 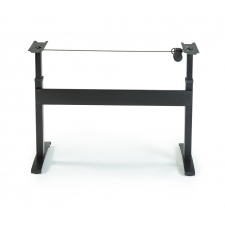 Everyday lifting capacity of 275 lbs. 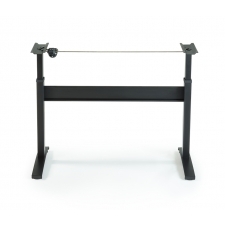 The VertDesk v3 was engineered with one thing in mind, stability. 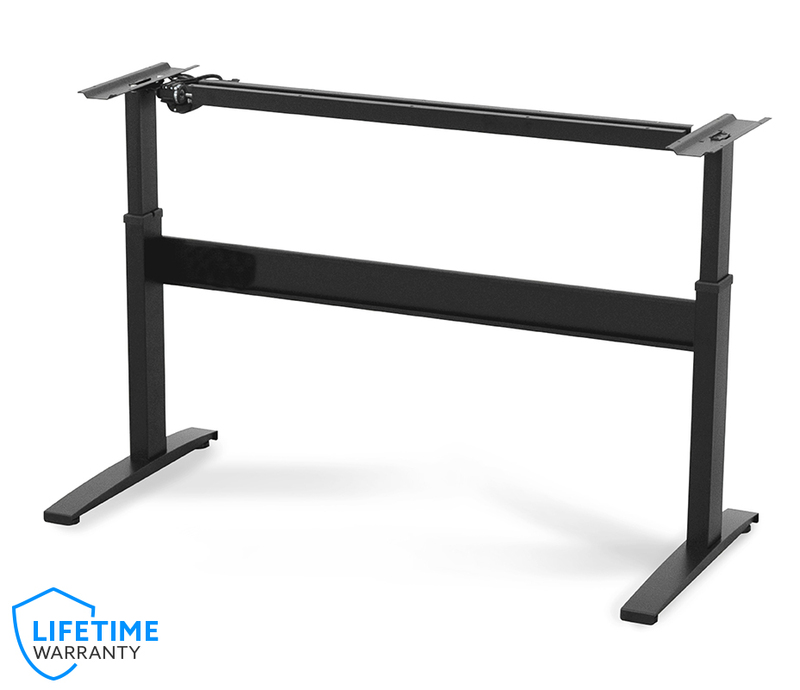 Our focus through the entire process was building the most stable standing desk on the market. 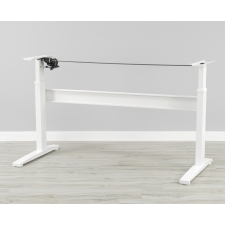 In order to achieve this we needed to build a stable desk from the ground up. Utilizing steel columns that are on average 30-40% thicker than the industry average, we are able to significantly reduce sway that commonly occurs at standing height. 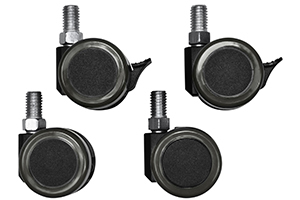 The use of permanent welds to connect our feet and upper surface supports eliminates potential loosening of bolts in these key areas. 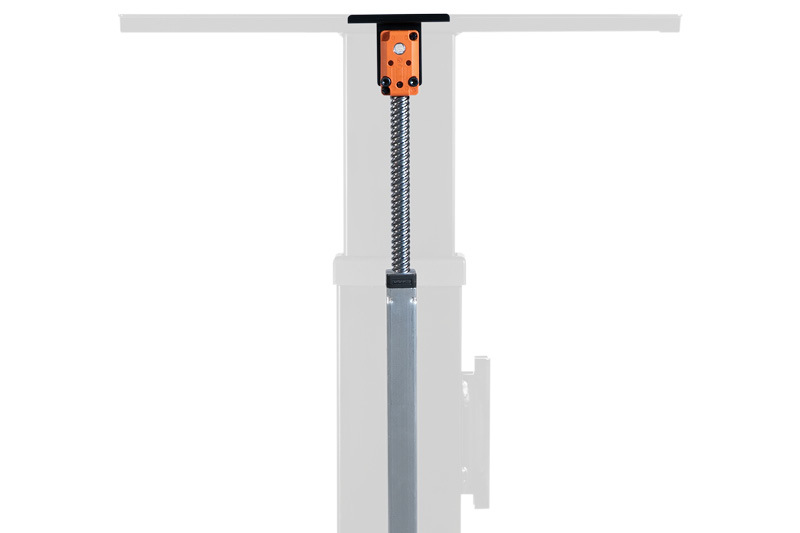 Lastly, the four bolts that connect our frame and steel cross support include Loctite and locking star washers to ensure they stay tight. 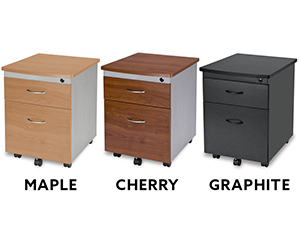 Our VertDesk uses premium bevel gears and spindle drives that are typically found in desks retailing for more than $1,000. 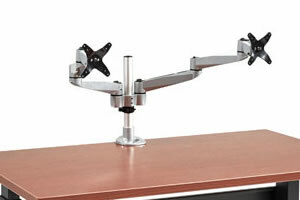 The VertDesk’s gear and spindle systems are designed and manufactured by Ketterer Gears in Germany. Ketterer got its start more than 180 years ago, when Benedikt Ketterer founded a clock making factory in 1832. All Ketterer gears are cold rolled and case hardened for added durability. Creating a precise gear ensures that your motor is working at its highest efficiency. This precision comes with years of experience and the difference is obvious when you manually adjust their gears. 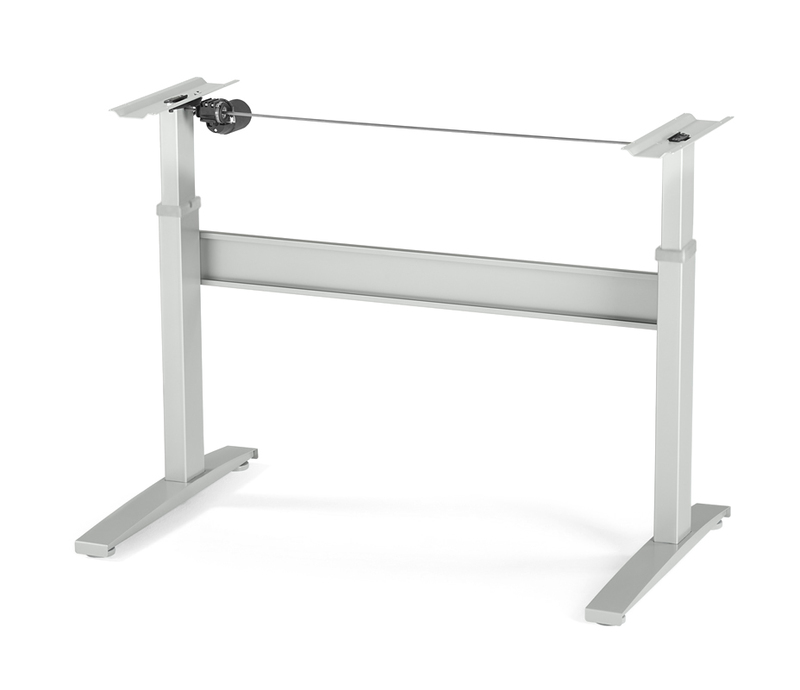 For the past 25 years, Ketterer has been making height adjustment mechanisms for office and workshop systems, so you can rest assured knowing the VertDesk’s gear and spindle system was made by one of the leaders in the industry. 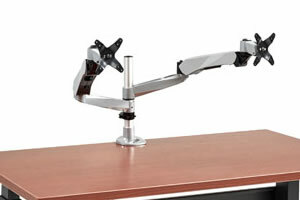 Like our gears, the VertDesk’s single motor system is from Ketterer. 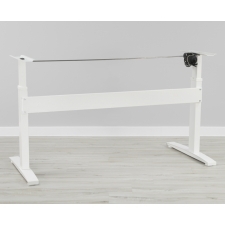 As the saying goes, quality over quantity, and that is the case with the single motor we use on the VertDesk. Through testing we’ve been able to average over 1.5” per second adjustment speeds. With a 275 lbs. 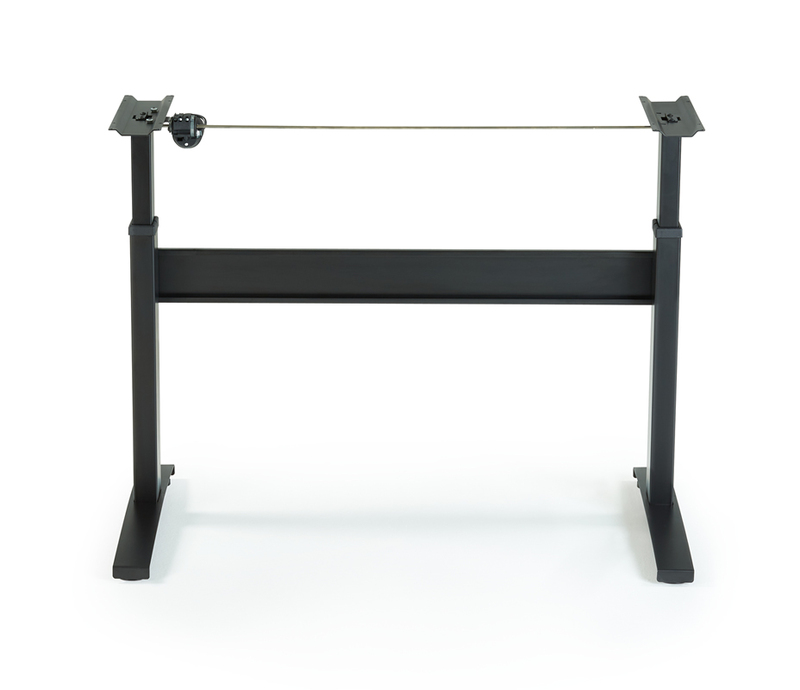 capacity, there is more than enough lifting power for most office setups. During lab tests we’ve taken the overload control off our desk to get a sense of how much it could lift. After loading it to 360 lbs. we decided we’d rather not break anything. 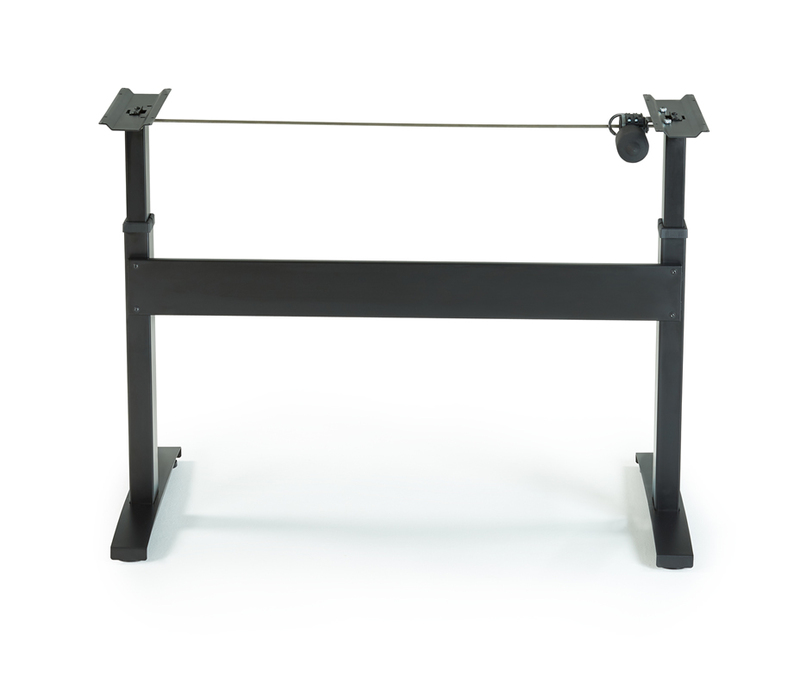 The good news is the VertDesk v3 had no issues lifting that high of a load, we just wouldn’t recommend doing it daily. 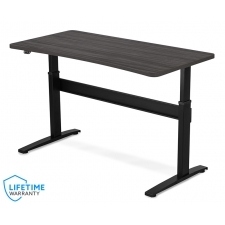 Creating a desk that is stable and effectively moves through transitions over the course of a lifetime is directly linked to its glide system. 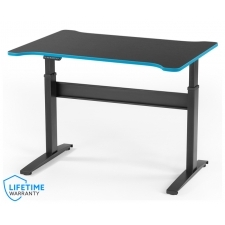 Because this part of your standing desk is susceptible to high-friction, using a material that can hold up well to high cycle counts is paramount to its success. 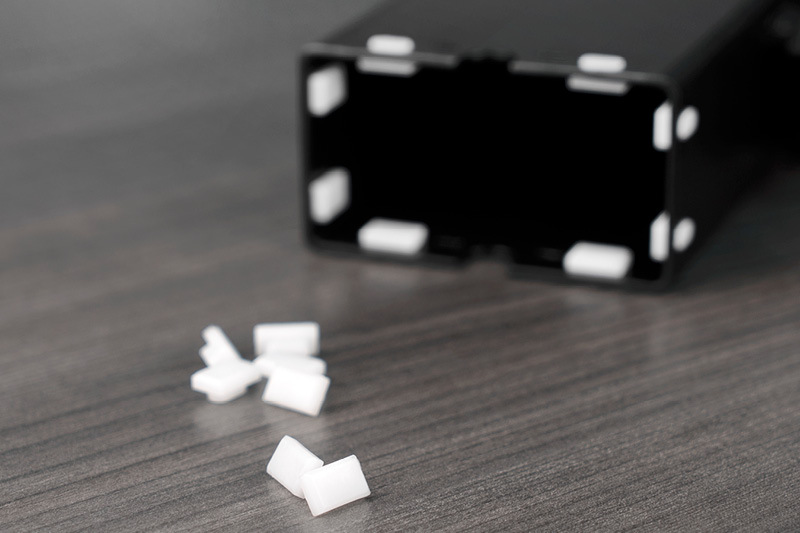 Dupont Delrin acetal homopolymer resin thermoplastics are known in the industry as the go to material for this exact type of application. 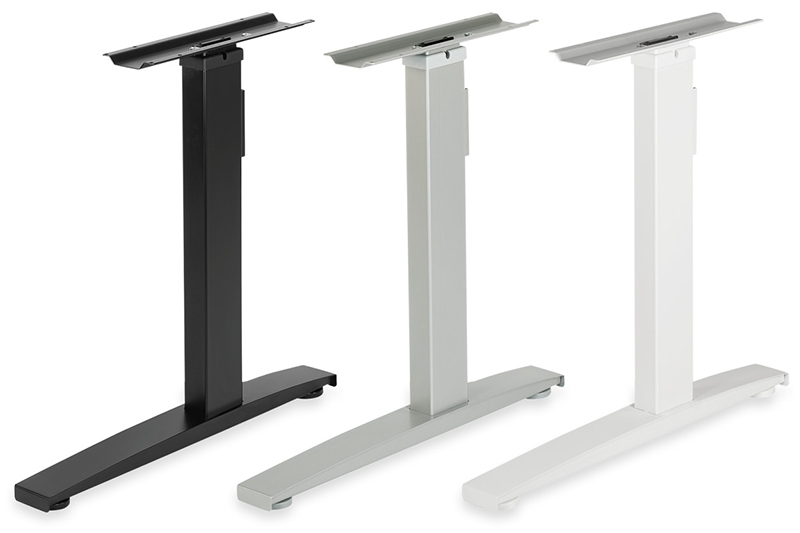 The VertDesk v3 features five sizes of Dupont Derlin glides, allowing us to get the perfect fit when marrying two columns together. 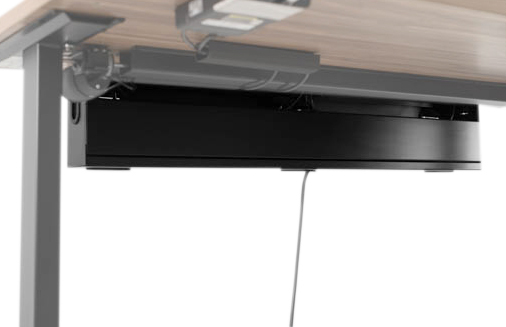 Just adding a cross support doesn’t guarantee that your next standing desk will be laterally stable. 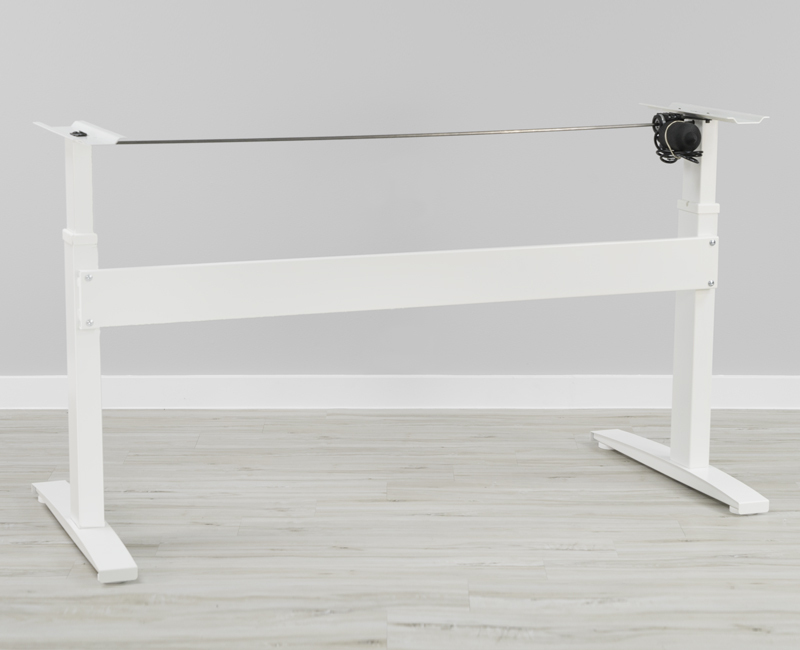 The cross support needs to be a single piece construction, with the proper height to create an effective X pattern between the four bolt connection to your frame. 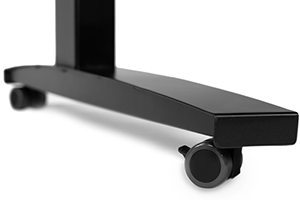 Each of our VertDesks comes with an “Anti-Wobble” cross support system that was designed for maximum effectiveness. 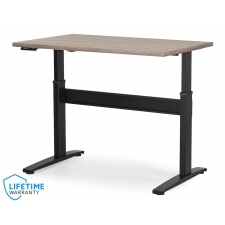 We prevent your new standing desk from swaying, whether empty or fully loaded, so you can stay focused on your work, instead of a wobbly desk. 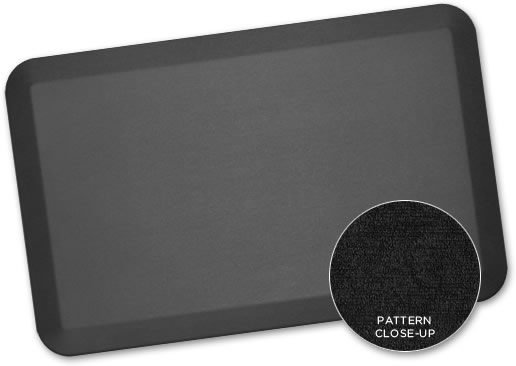 The standard button allows for easy adjustments with a push of the up and down button. The standard button does not have a programmable option. 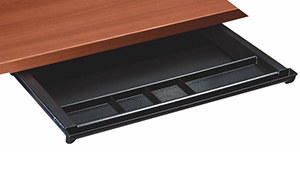 The Programmable button allows for the desk to be raised or lowered to 4 different positions. 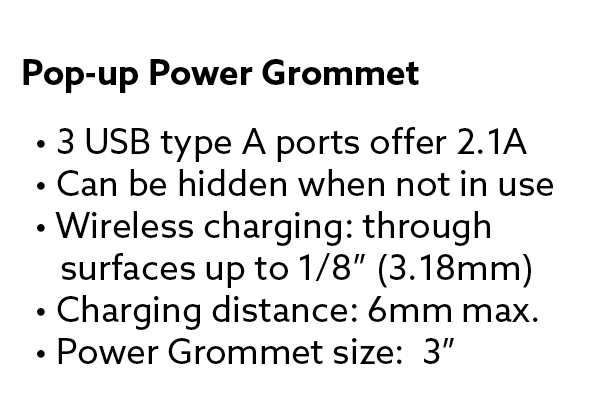 It comes with the option to turn on the one-touch functionality. Simply press and release one of the four presets, the desk will move to the preset height automatically. Comes with 2 locking and 2 non-locking casters. 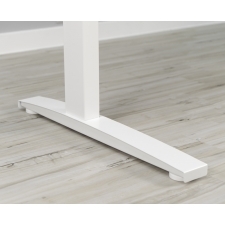 These soft casters don't scratch surfaces, such as hard wood floors. 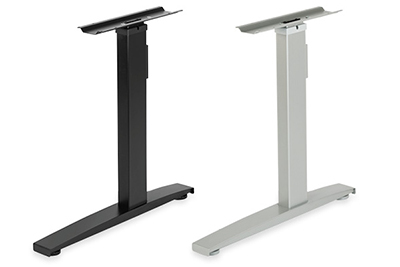 VertDesk v1 and v2 products shipped prior to 10/5/15 are warranted to be free of defects due to manufacturing or material as follows: 2 years on gears and/or motors, including control box and switch; 5 years on support brackets, columns and feet. 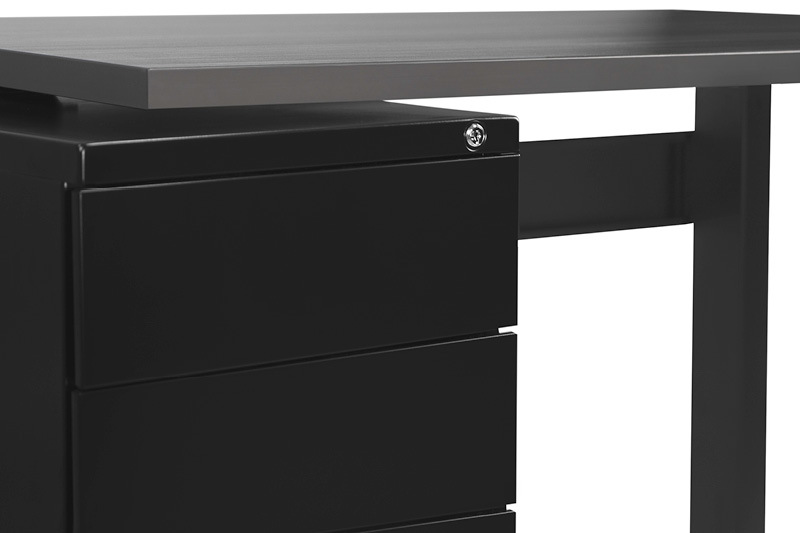 VertDesk™ will replace any defective part after inspection by an authorized agent. Costs incurred due to product replacement such as installation, labor charges or transportation are not covered under this warranty. 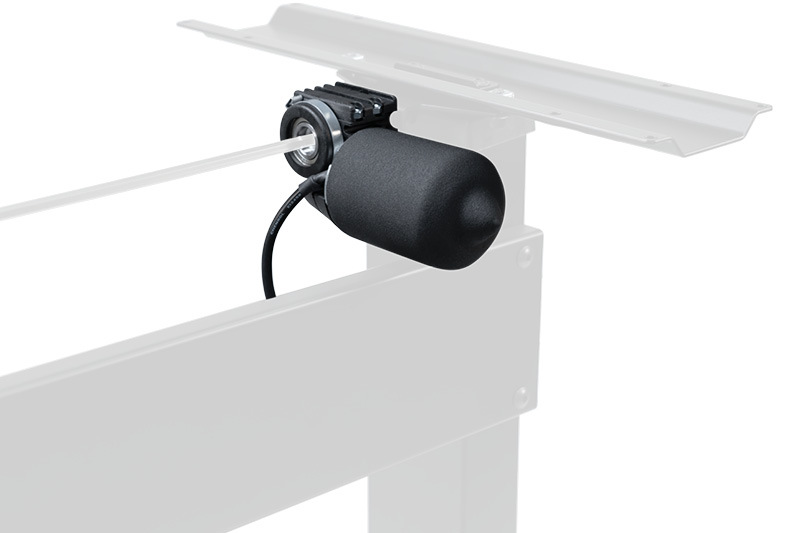 Featuring the latest GyroSense technology, the new VertDesk electronics have incorporated a gyro sensor in their control box for better detection of soft collisions. 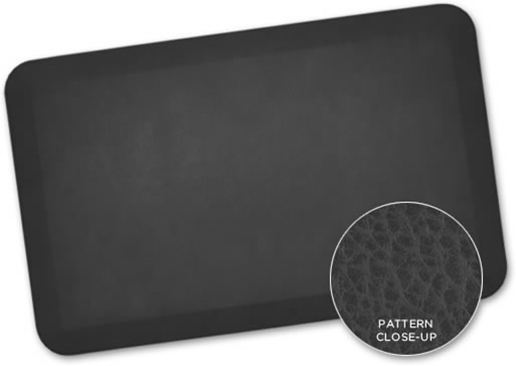 Prior to using this technology VertDesk v3 utilized software driven collision avoidance systems. While these were fairly good at stopping hard collisions, they were not able to effectively detect soft objects. 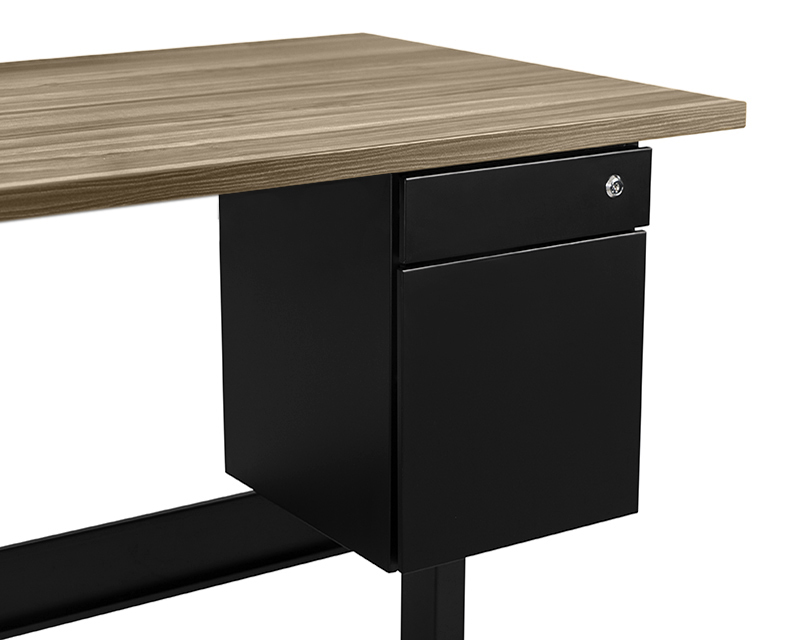 The VertDesk v3 is one of the only standing desks in the mid-range to feature a hardware driven collision avoidance system. 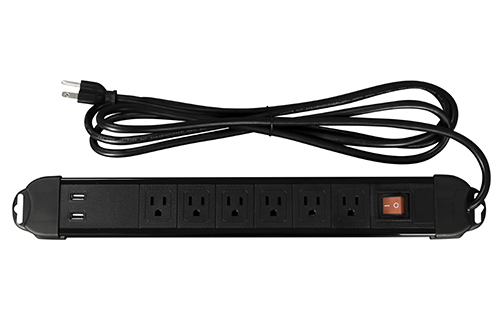 One-touch functionality now comes standard with all programmable switches. 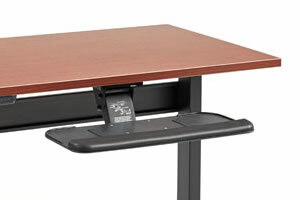 No longer will you have to press and hold your button for the desk to reach a desired height. You can first program one of the four preset heights, then you are able to press and release the programmed button. 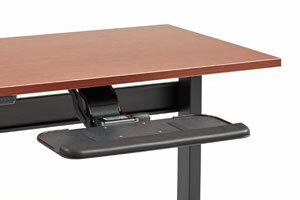 The desk will move up or down to your selected position. 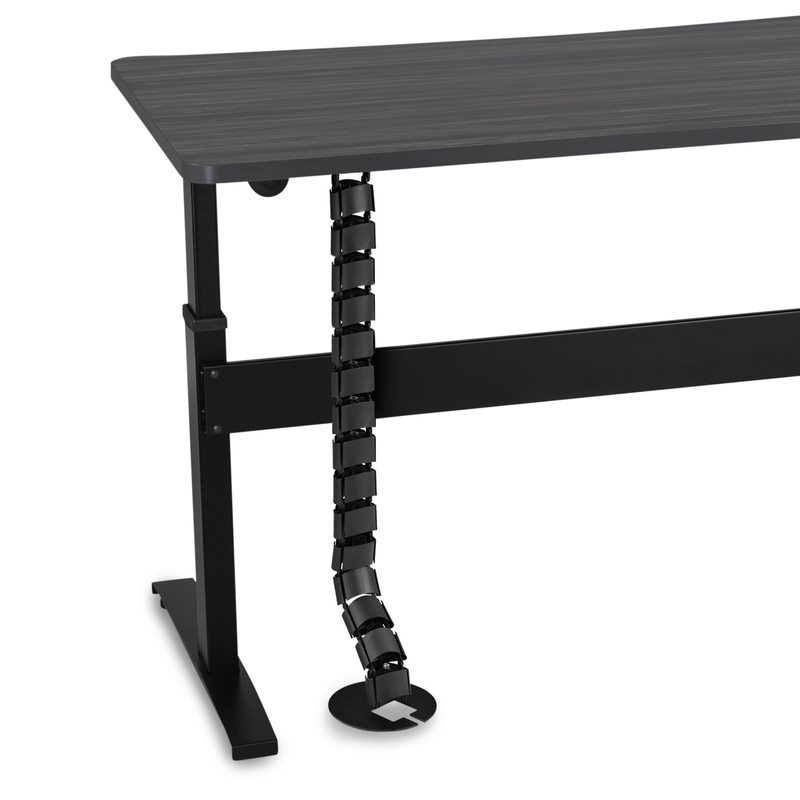 VertDesk is one of the few standing desks in its class to offer an overload protection system. 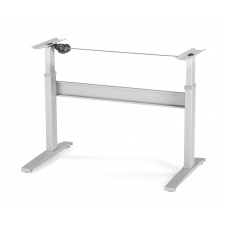 With a standard lifting capacity of 275 lbs., you don’t have to worry about accidentally overloading your desk. 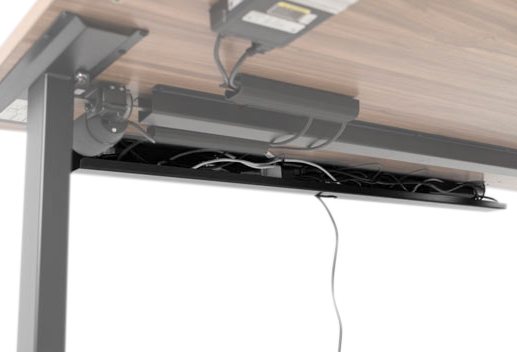 Once the desk has reached max capacity it will automatically shut down, preventing any damage from occurring. While most competing products are finding new ways to advertise higher weight ratings, we have a solution that will provide years of service and protect your investment. 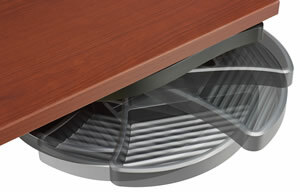 Do you have furniture in your office that sits below your desk or just above the surface? 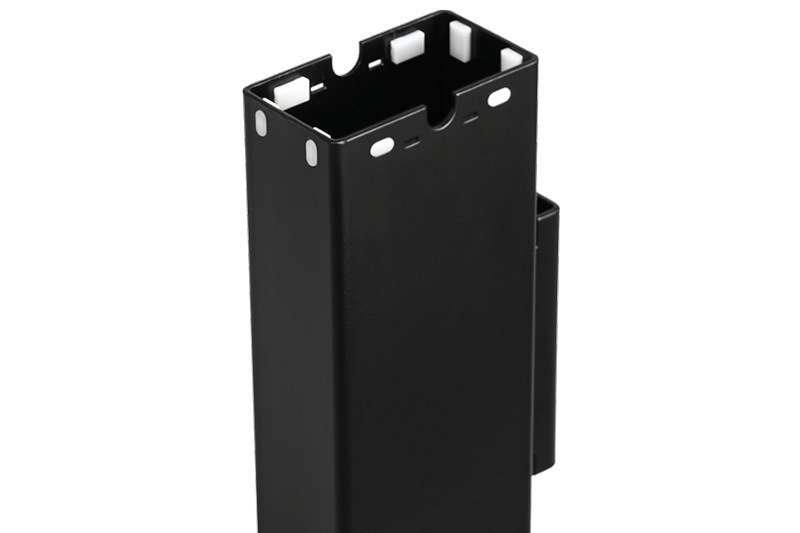 The best way to prevent a collision is a container and shelf stop system. 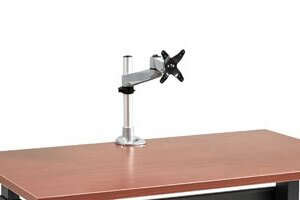 This functionality allows you to customize your desks adjustment range. 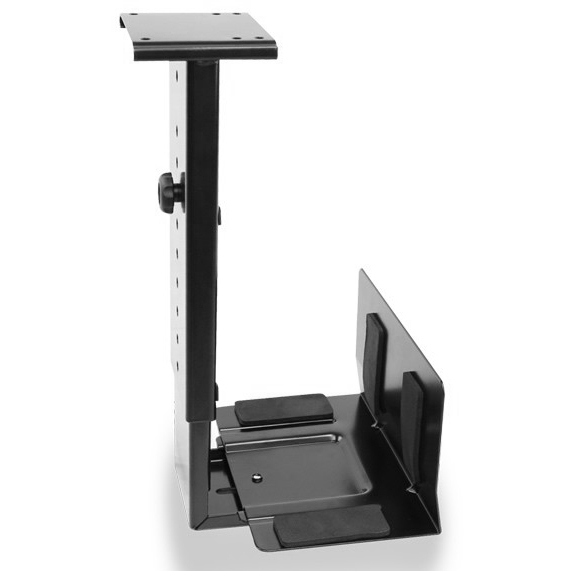 With our container and shelf stop system you’re able to quickly program your desks lowest height and maximum height position; once programmed your desk will only operate within your custom height range. 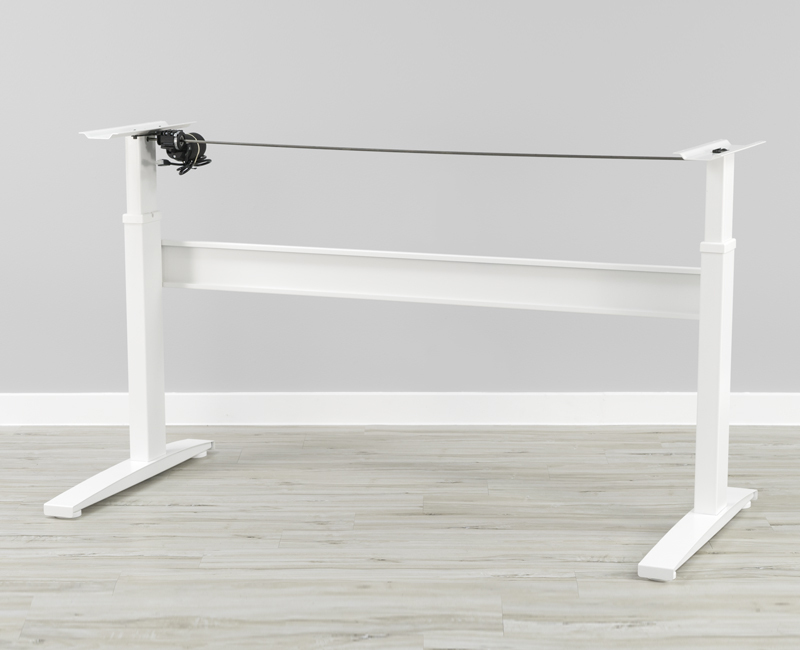 The VertDesk v3 is now available in three frame finish options. Black and silver are available in all of our current size options. 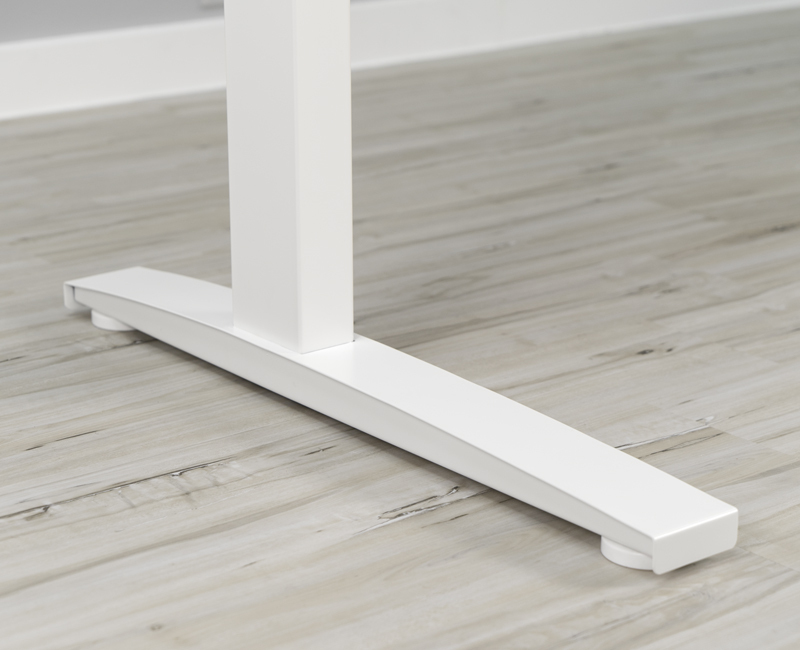 Our newest white finish is only available in select frame sizes. 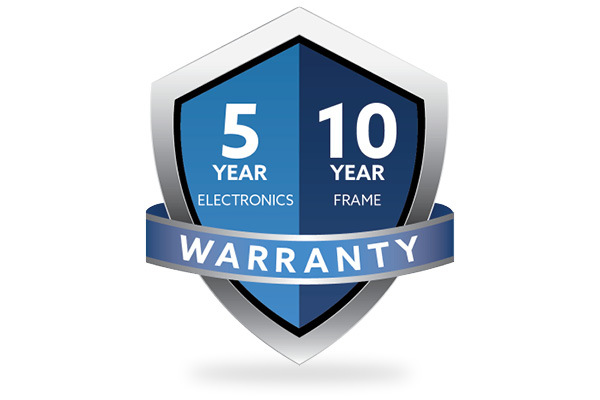 All frames are powder coated with an extra durable finish that hold up well to years of use.